We’d love your help. 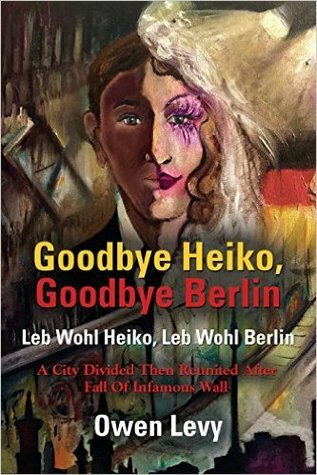 Let us know what’s wrong with this preview of Goodbye Heiko, Goodbye Berlin by Owen Levy. To ask other readers questions about Goodbye Heiko, Goodbye Berlin, please sign up. Since GCSE German and that godawful song by The Hoff - I'd been intrigued about Germany and moreover the Berlin wall and the division of East and West. This book not only challenges my German language skills and answers many questions regarding the segregation of Germany,but it raises new suspicions, questions relationships and entertains. Couldn't put this book down until I finished it. Fascinating place and time with interesting characters and an unexpected ending. As a straight man I related to the emotions and feelings of the protagonist who desired more than Heiko was willing or able to give. Highly recommended. Born in post-war Harlem, raised in white-flight Brooklyn, educated publicly, East Village pioneer, Berlin expatriate as refugee from First Bush-era, Harlem gentrifier, Mohawk Valley settler. 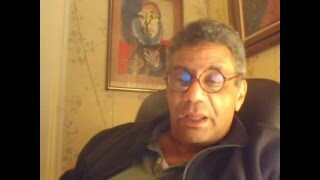 The middle of two brothers, the elder France-based jazz artist, younger, seaman and runner, now deceased. Mother second generation Portuguese, Father born in Deep South descendant of African slaves. As a young Born in post-war Harlem, raised in white-flight Brooklyn, educated publicly, East Village pioneer, Berlin expatriate as refugee from First Bush-era, Harlem gentrifier, Mohawk Valley settler. As a young man economically unable to write full time I enjoyed several years as a Broadway and entertainment publicist, then several more as a stringer and trade journalist based in Berlin.